If you are looking for a different border plant for your garden, that tops 2.5 meters (and you can eat it! ), this is for you! I absolutely love collecting the seeds at the end of the summer (and eating the foliage all summer long). It is such a treat to eat the fresh seeds before they harden. 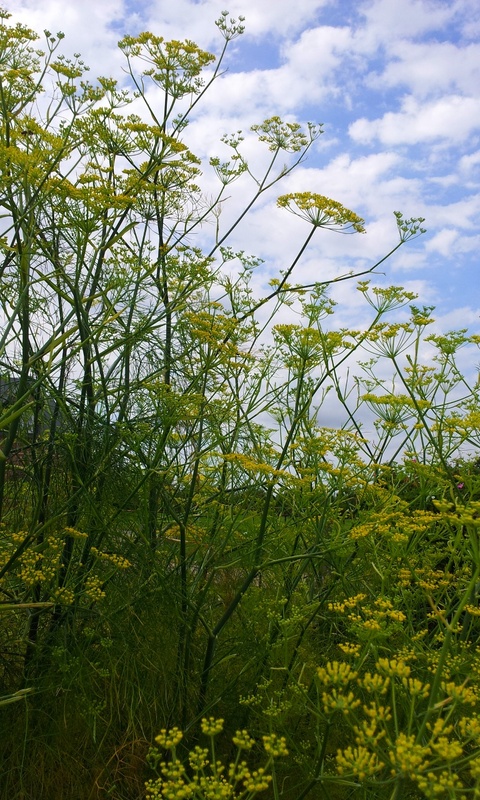 Not to be confused with dill, the subtle aniseed taste goes wonders with fish, vegetables or pork. In fact, I use the seeds for home-made sausage and in of my favourite pasta dishes native to Sardinia - recipes to follow! Buenas tardes Espana, Muchas gracias por su mensaje! Oui, le fenouil est excellent pour la digestion - le mieux, c'est de le boire en tisane après un repas. A bientôt! Besos! Ivan.